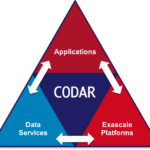 Co-Design Center for Online Data Analysis and Reduction at the Exascale is addressing the growing disparity between simulation speeds and I/O rates rendering it infeasible for high-performance computing and data analytic applications to perform offline analysis. The center is targeting common data analysis and reduction methods (e.g., feature and outlier detection, compression) and methods specific to particular data types and domains (e.g., particles, FEM). 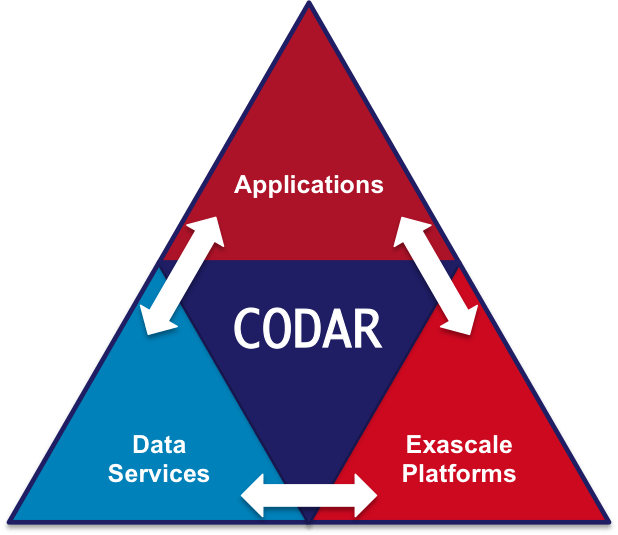 It aims to reduce application development risk by providing performance tradeoffs for offline vs online analyses of simulation results, and produce and integrate into applications high-performance products that embody data analysis and reduction methods.